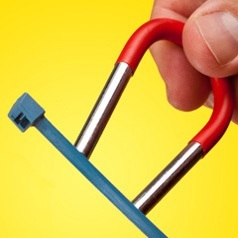 Metal Detectable Cable Ties | Metal Detectable Zip Ties | Cal Fasteners, Inc.
With metal content incorporated into the nylon material, these cable ties are designed to be easily spotted by metal detectors. This helps prevent potential contamination that may result in costly recalls (or worse). These zip ties are ideal for food and beverage processing, pharmaceutical and cosmetic production, or any application where the detection of foreign objects in consumable products is essential. Cal Fasteners offers metal detectable cable ties in 18, 40, 50, and 120-pound capacities and in various lengths to meet your requirements. 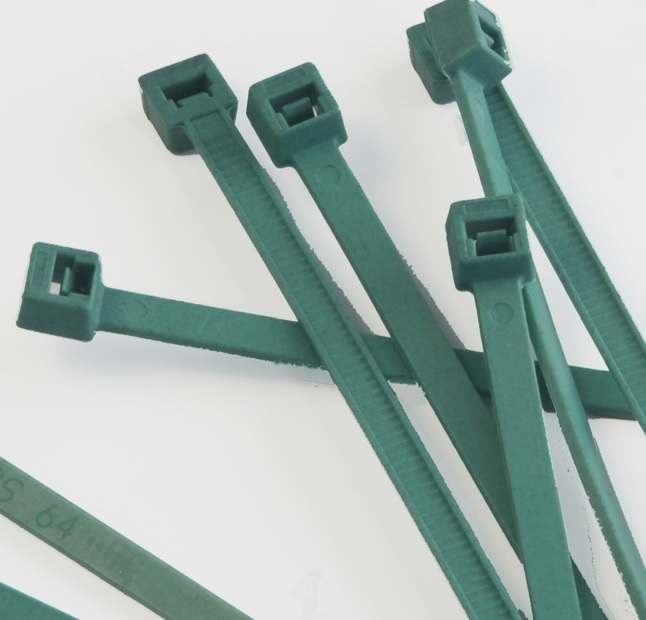 All metal detectable cable ties are manufactured from high strength nylon, with blended metal content. One-piece construction and unique pawl, teeth, and transition rail designs give these zip ties high tensile strength. Tapered tails with finger grips make them easy to align and tighten. ROHS compliant. We also offer 18, 40, 50, 120-pound capacity standard cable ties. Request a quote on metal detectable zip ties, or contact Cal Fasteners to learn more.